The async support available now with .NET and Visual Studio makes it easier than ever before to compose the asynchrony in your apps. But are you doing so effectively? From reliability to reuse to responsiveness to performance, there are bad practices and best practices surrounding usage of async and await in your code. 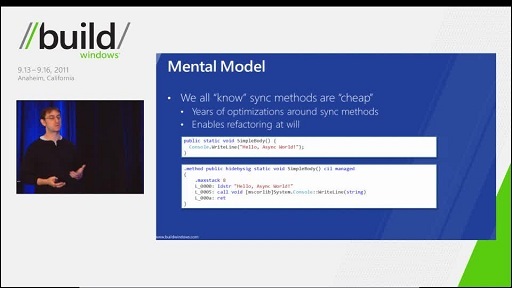 In this talk, we’ll cover such practices, giving you the knowledge you need to effectively build robust, async solutions. We’ll also examine new support available in Visual Studio 2013 to help you productively debug your async code. This was by far one of the best experiences I had. 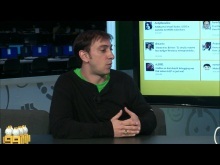 This guy was boss took questions and answered them all. Really knew the subject matter if you have a chance to watch this please do. It's so refreshing to hear how much of a grasp this guy had of the subject. 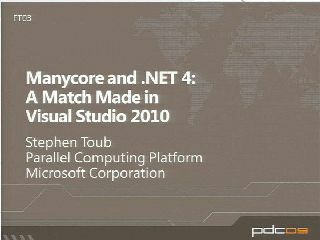 @totalgeek: He should have a grasp, he is the one who wrote most of the code for the feature. Always enjoy his talks. Look him up on Channel 9 if you want to see some GREAT talks on Reactive Framework. Excellent talk! Fast, precise, deep. Thanks! 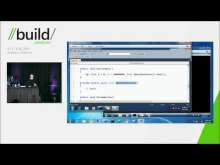 Again a great presentation on an important topic; Stephen Toub is a model developer. I really enjoy all of the his Channel 9 talks! Awesome session, very well done. Very nice and didactical presentation! The speaker is knowledgeable, but one of the tenets of Eric Lippert's C# mantras was "the pit of success": make it easy to do the right thing and hard to do the wrong thing. The part about "async void" around the 30 minute mark is strongly disobeying that principle: I would have to keep coming back to the video (or a saved explanation) to fix code that, as Stephen agrees, is quite commonly written. 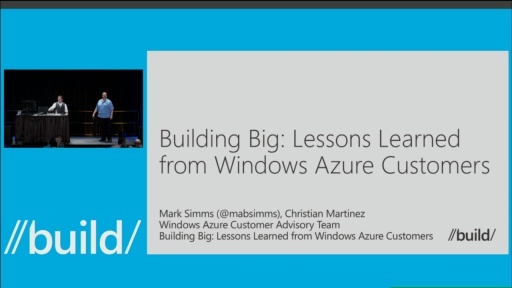 @mdpopescu: I think its time to introduce "use strict"; ! 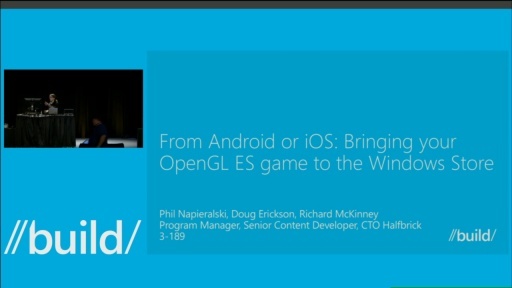 @totalgeek: I attended this session and I have to agree. Not only did he answer all of the questions without hesitation, but he even pointed attendees to his blog in which he had already answered their questions. Easily one of the most memorable sessions this year! Great features and session. Cleared up a lot of things I needed to know to create my own async functions that are now mostly threaded operations. The cancellation is very nice.